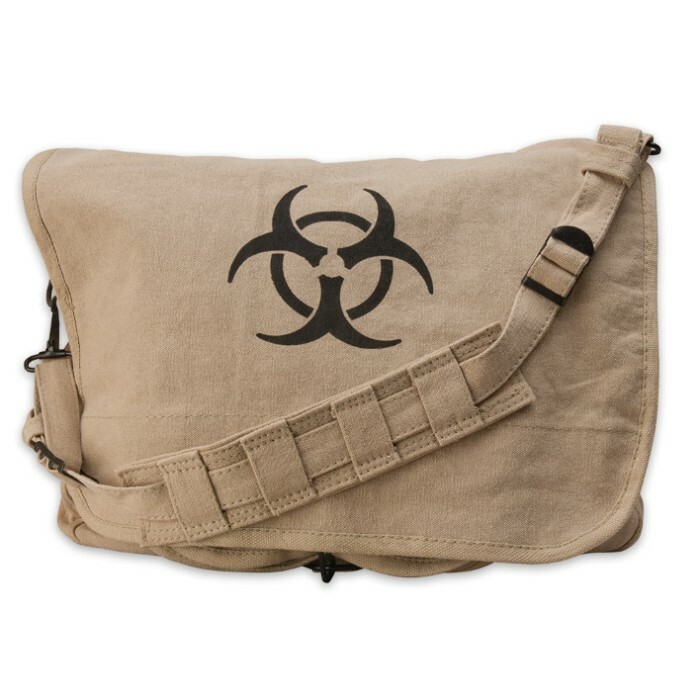 Biohazard Zombie Shoulder Messenger Bag | BUDK.com - Knives & Swords At The Lowest Prices! 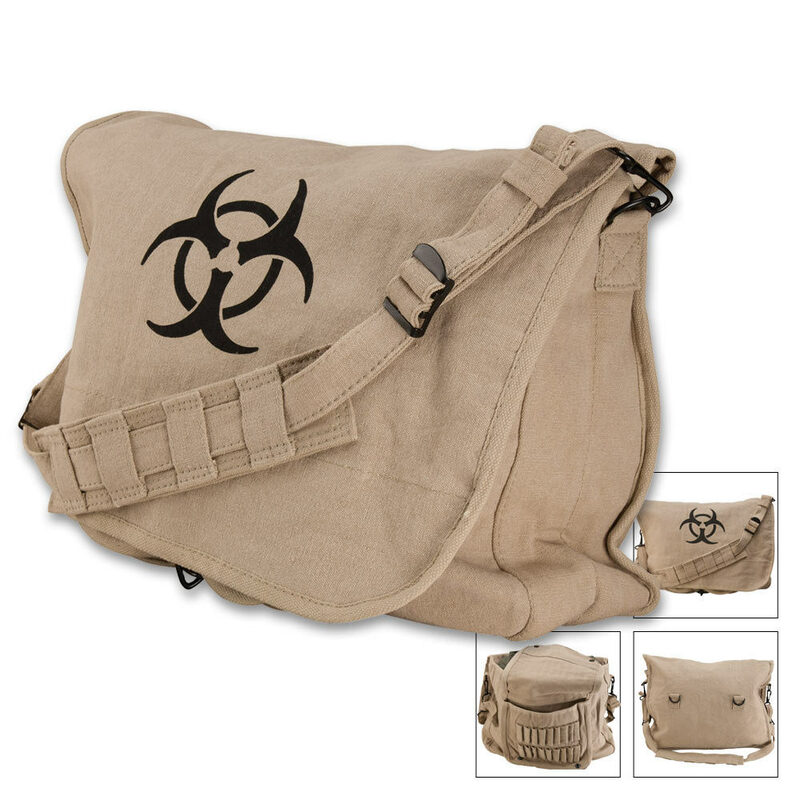 You won't find another bag as cool as this vintage biohazard paratrooper shoulder bag. I bought this for my son to use for school. He really likes it. 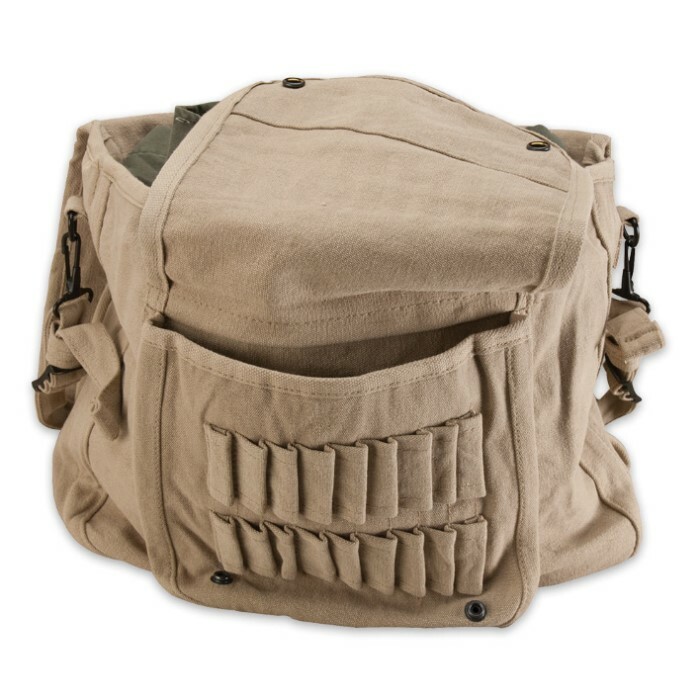 Nice bag with plenty of compartments and the ammo loops work well for pens/pencils. I ordered this bag as something different to carry my papers and files in back and forth to work. Compartments are the perfect fit and the small sewn pouches under the cover are the ideal place to store all my pens. Great value for a great price. I bought this bag for my son and he loves it. Very sturdy and durable. Excellent bag, the strap was a bit short but it was an easy fix. Looks good and works fine for light things, however after using it for a few days it started to turn a little green from the sun. And after having 15 pounds worth of stuff inside the bag, the corner of the bag by the strap tore open. I just received my bag from FedEx and so far I love it. Granted the strap could be slightly longer. However overall one of the best backpacks I've owned. both strap and bag are a bit smaller than I thought. can barely fit my standard size laptop in it and close it. have to have the strap to about full length for it to sit like it's supposed to and it tends to twist alot in the padding on it. give it a 4/5 due to size. the ammo loops will fit a standard 7.62 for the record.